The 2015 version of HJC's Pairs Competition will run from Saturday, March 28 to Friday, April 10. A team of two concept artists will work together to create the most professional presentation possible. The theme of the presentation will be the NHL's 100th Anniversary. Our most talented artists are encouraged to enter the Logo Division, while those who don't feel they are quite at that level can enter the Jersey Division. This is a large competition and to provide adequate space it will be hosted here on the HJC Design Blog. You'll have to wait until the 28th to read the full rules, but to prepare you for what is expected I will be sharing some details here. 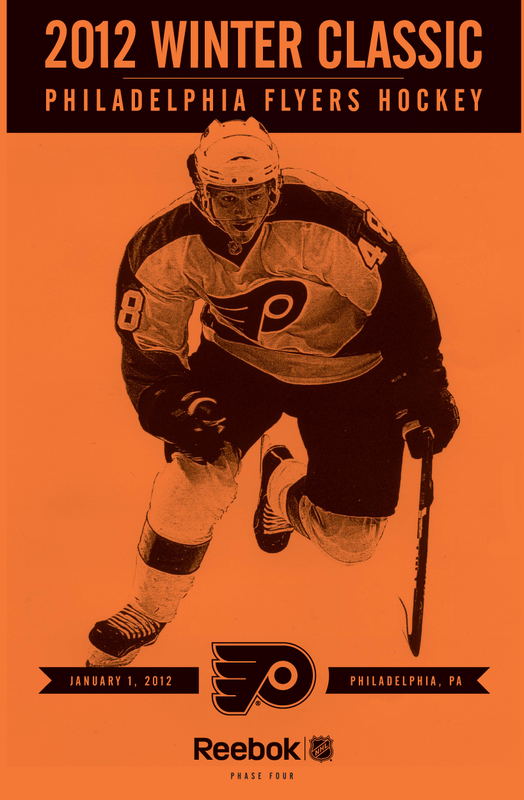 That's the cover from the Flyers' PDF presentation of their 2012 Winter Classic concept jerseys. In the Logo Division we'll be seeing a lot of great logo concepts. A lot of the time logos will have several variations and that will be accepted. Here's an example of a great way to professionally present a logo. Teasers will be a part of both divisions. Teasers will be accepted in any format, just get the readers excited about your work. This is a great way to create some buzz for your project. A project that comes in with a lot of hype and then delivers, will have a chance to blow the competition out of the water! 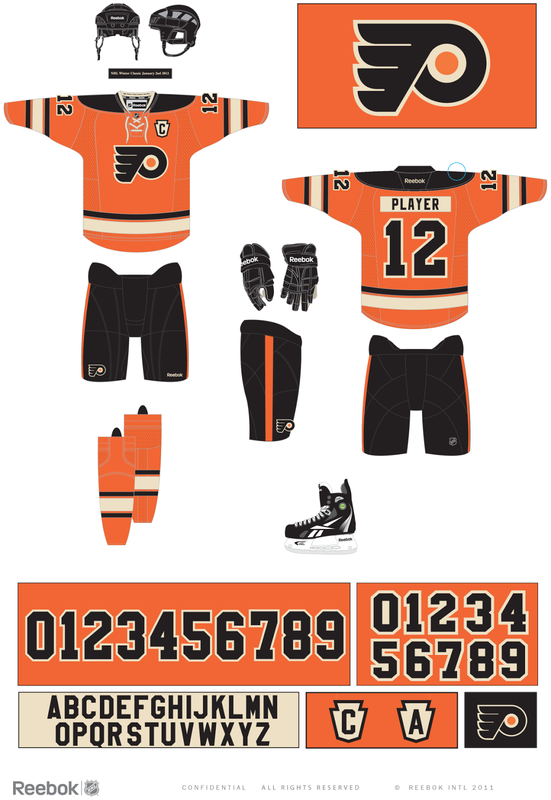 For the 2014 Pairs Competition, teams had to create a new NHL expansion team from the ground up. Check out the teasers from the Advanced Division from that competition. My personal favourite was this video from Justin C. & Mat W.
There you have it. I just wanted to let people know what the expectations are. This is a big project and your team will have two weeks to put everything together. I'm looking forward to seeing what you guys can do.